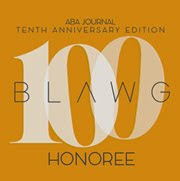 The ABA Journal notes that the Oregon State Supreme Court has unanimously determined that the governor of Oregon "has power to grant clemency in a capital case regardless of whether the inmate in question wants to be put to death." In sum, there is no "right" to a state execution. Consequently, death row inmate Gary D. Haugen cannot refuse Gov. John Kitzhaber's clemency grant.